This morning while my children and I waited for the repair guy to come and fix our fridge/freezer, we made muffins. I haven't made muffins in a long time, so I figured this might be a good quick breakfast for another day. I used a special blend of grains that Chef Brad (Grain Guy) grinds together to make what he calls Wonder Flour. The three magic grains are brown rice, spelt, and barley. 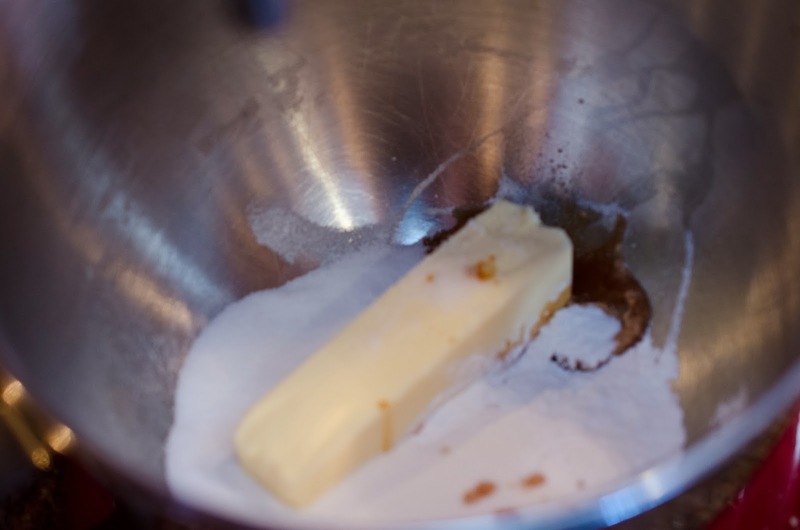 These three together he says can be substituted for all purpose flour in cakes, cookies, and muffins. I was ready to try his advice today. Using my handy dandy now repaired WonderMill, I milled 2 cups of Nishiki Brown Rice, 2 cups whole spelt, and 2 cups pearled barley. 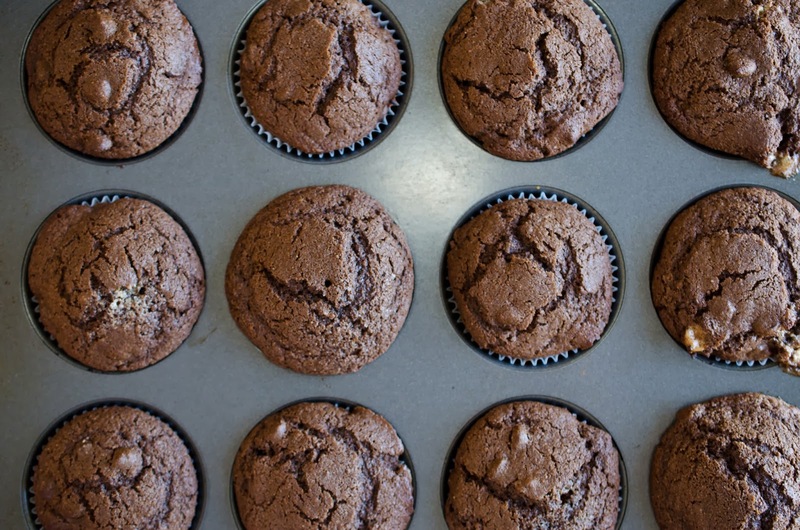 Today's recipe started as a recipe for whole wheat chocolate chip muffins courtesy of King Arthur Flour, but I changed some of the ingredients. 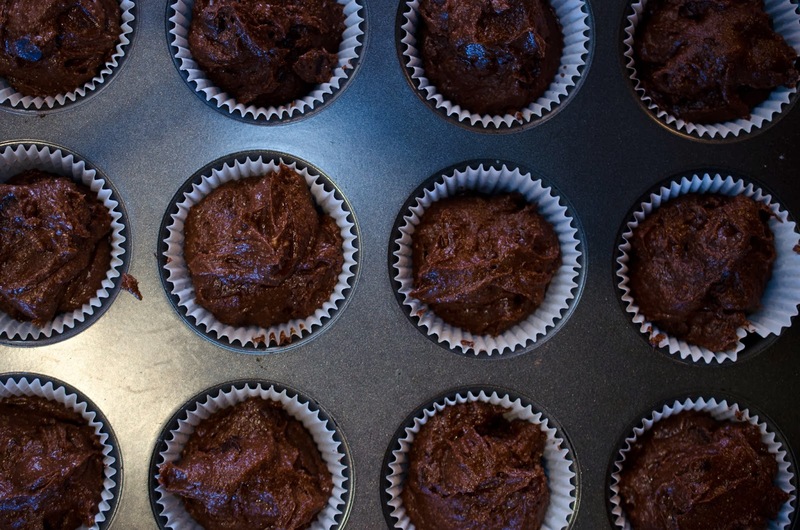 That is a muffin packed with whole grain goodness, healthy cocoa, and chocolate chips. 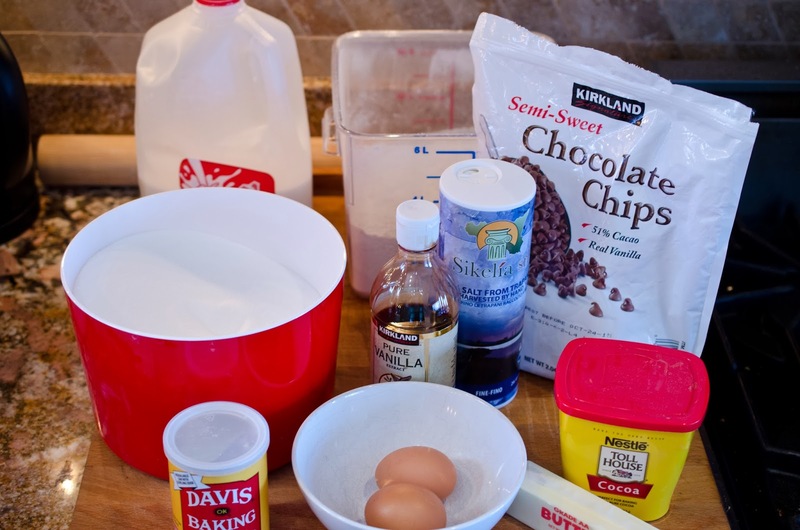 salt, 2 cups chocolate chips, and 1 teaspoon vanilla extract. 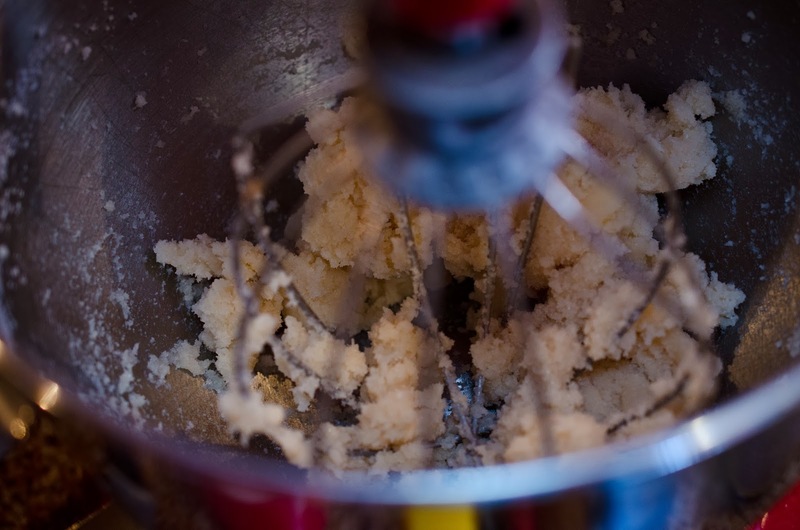 Cream butter, sugar, salt, and vanilla together in mixer with whisk attachment. 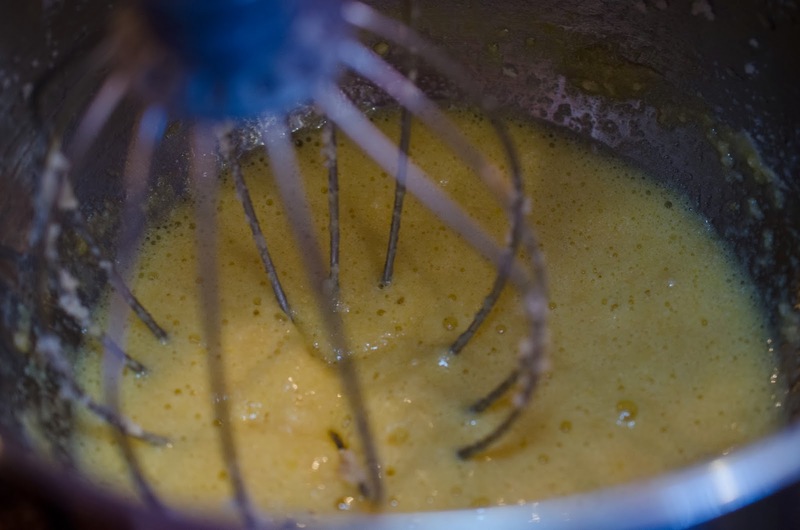 Add eggs and whisk until mixed through. 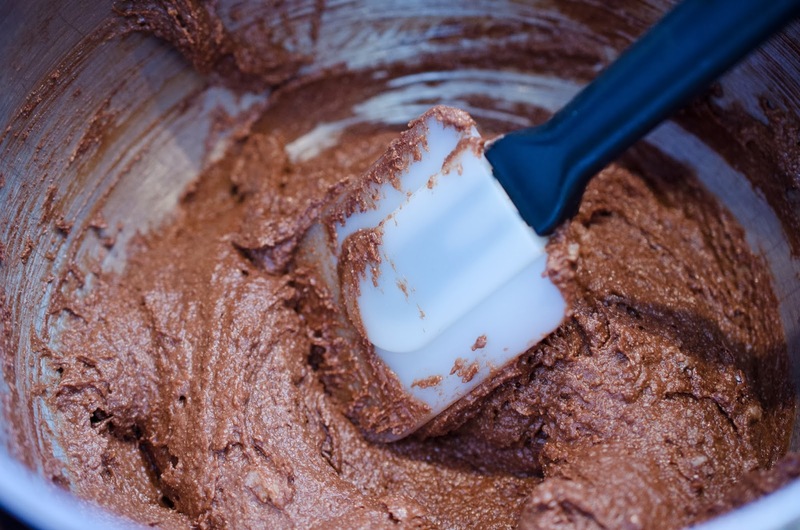 Using a rubber spatula, mix in flour, cocoa powder, and chocolate chips. Gently, very gently mix. Bake in oven for 30 minutes, or until toothpick inserted comes out clean. 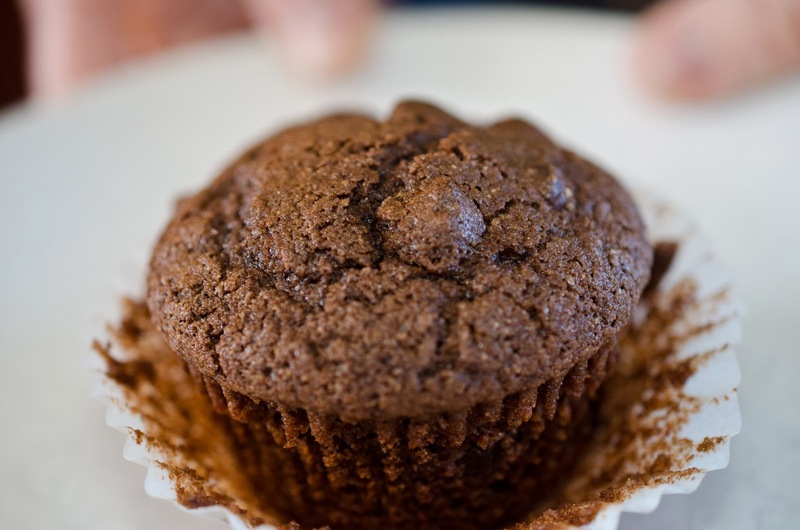 Two kinds of chocolate in this muffin, enough said.